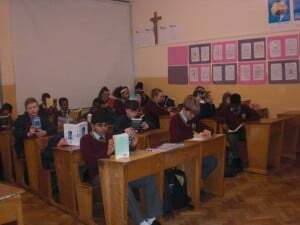 On Tuesday 20th December the Senior Choir visited Gormanston Woods Nursing Home for a morning of Christmas Carols and Poetry. 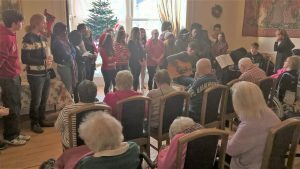 The choir visits the Nursing Home every Christmas under the guidance of Ms O’Hare and Ms Hodgins, taking the opportunity to share the Christmas Spirit with the residents. It is always a joyful and lively experience. 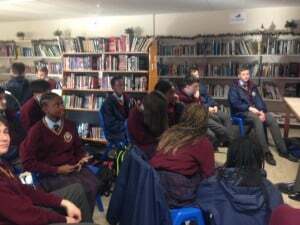 This year, as part of our school’s Wellread initiative, the choir was accompanied by a number of students reading Christmas poetry to the men and women in Gormanston Woods. Pauric Leech read ‘A Christmas Childhood’ by Patrick Kavanagh and Aaron Rock read ‘A Visit from St. Nicholas’ by Clement Clarke Moore. This added an extra literary element to this festive occasion that was greatly appreciated by all involved. We are half-way through another Drop Everything And Read week here at Franciscan College Gormanston. Everyday at 10:30 teachers are told to stop teaching and students are told to put away their work. 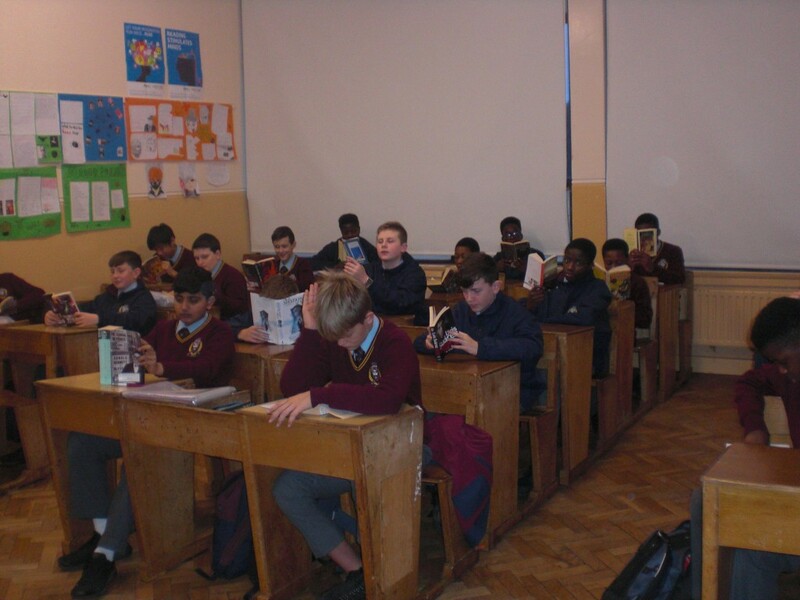 All members of the school community take out a book and read for their own enjoyment. Both students and staff really enjoy this week every year as it gives a short break from work to do something very pleasant and relaxing. Also, all members of the school community take part in this week with great enthusiasm because we fully recognise that reading for pleasure is proven to help improve students’ grades across all subjects. A number of our students are very interested in graphic novels. They see them as a different way to enjoy narrative – one that has visual appeal to match the story itself. Like traditional novels, there are endless ways to categorise graphic novels. Today, Alex from 6th year spoke to some junior students in the library about the types of novel that he enjoys. The first type he spoke about were manga – these are read from top to bottom and right to left in the traditional Japanese style. One of Alex’s favourites is ‘Death Note’. He then went on to speak about superhero stories. This sparked the age-old debate of whether DC or Marvel is the better comic type. Alex’s favourite is the Marvel series, but needless to say, there was a lot of disagreement! 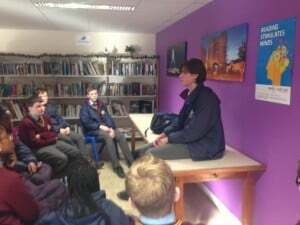 Many students had questions for him and everyone enjoyed sharing their own personal experiences. We are very grateful to the parents who run the library at lunchtimes who allowed us to use this beautiful space for the talk. Alex talking to some junior students. Students listening to the talk about graphic novels.